Hikaru is a mildly incompetent bookstore employee who‘s just a bit too nice for his own good. He‘s also an aspiring manga artist, and distributes mysterious “Debikuro Communication” flyers at night. 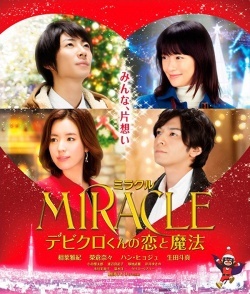 On Christmas night, a miracle is created by the love Hikaru and three other people in his life - his attentive childhood friend Anna, a world-famous lighting designer named So-yeon whom he meets by coincidence, and a former university classmate named Kitayama who‘s gone on to become a popular manga artist.